You can analyze the myths of visionary creators—artists, writers, musicians, software developers, etc. who have accomplished the impossible. You’ll read about how they went for it, refused to quit, and would not be denied. But exactly how these successful creators went from being fearful dreamers to accomplished artists proves elusive. This is a very emotionally raw look at the author’s life as he figured out what it meant to be truly successful – and mentally healthy. There are nuggets of truth (everyone lies) and wisdom (take the direct route) that really helps – in the sense that this is a self-help book. A couple of typos and missing words irked me, but that happens. 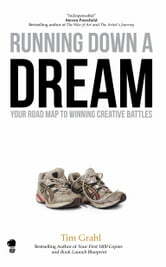 The cover makes sense in terms of it’s all a marathon – a theme in this book. The author talks a lot about how fear (and its master Resistance) is the enemy that stands in the way of getting anything done. There’s also a lot of “get out of your head and do the work” advice. 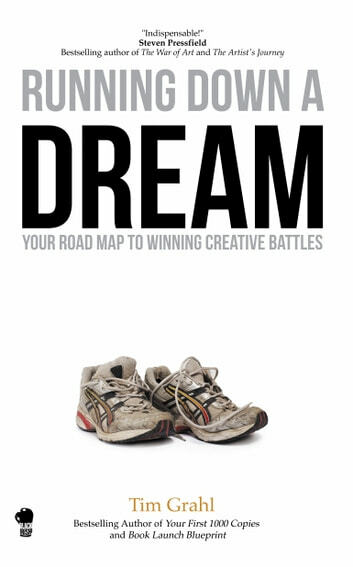 For the most part I’ll recommend this to authors: if you liked “Big Magic” by Elizabeth Gilbert, you should read this.